RAK Rugby extended “its sincerest condolences” after former player Mark Roxburgh was among four crew members who lost their lives at the weekend when a rescue helicopter crashed into Ras Al Khaimah’s Jebel Jais mountain. Roxburgh, a flight paramedic, was on board when Agusta 139 hit a zipline at about 18:30 on Saturday, went into a spin and burst into flames upon impact with the ground. Jebel Jais, the highest mountain in the UAE, is home to the world’s longest zipline, which has now cancelled all flights “until further notice”. The three deceased Emirati crew were identified as pilots Hameed Mohamed Obaid AlZa’abi and Saqr Saeed Mohamed Abdullah AlYamahi, plus navigator Jasim Abdullah Ali Tunaiji. 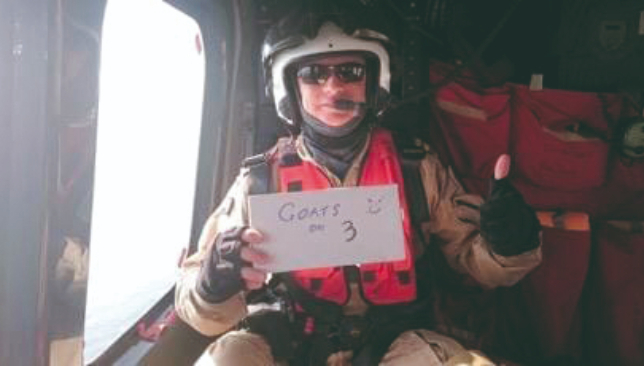 “It is with great sadness that we report that Mark Roxburgh, a former RAK Goats player, tragically lost his life yesterday while performing his duties as a helicopter paramedic,” the UAE Community League-outfit posted on their Facebook page on Sunday. “He leaves behind a young daughter and family in his native South Africa. This is the second time in a year that RAK have been struck by tragedy. In April, player Nick Young passed away several days after he was left in a very serious condition following a tackle at the season-ending Sharjah 10s Rugby tournament. Young was believed to be in his 40s. Mike McFarlane has challenged his players to channel the famed Abu Dhabi Harlequins spirit as they battle to stay relative in what their head coach has described as a “rebuilding year”. Quins claimed all five major trophies two seasons ago – West Asia Premiership, Dubai Sevens, UAE Premiership, West Asia Cup and Asia Rugby Western Clubs Champions League – for an unprecedented feat in domestic UAE rugby. But financial woes and player departures were met with renewed efforts from rivals which resulted in a fiercely competitive 2017/18. Success will only be more arduous to come by this year, but McFarlane feels the ‘one club’ ethos he has instilled at the club during his tenure will fire his squad for the journey ahead. “Every year is a fresh start,” said McFarlane ahead of Friday’s visit of Sri Lankans Kandy in the second fixture of this season’s curtain-raising Asia Rugby Western Clubs Champions League tournament. Mike McFarlane has overseen a revolution since taking over at Quins. Quins actually found themselves in a transitional period during 2017/18 following a dominant three-year spell in which silverware was hoovered up with regularity – 10 out of 19 trophies available over the last four years were hoisted by Quins, the majority of them under McFarlane’s guidance. That included 2016/17’s marvelous quintuple, as well as three-straight Dubai Sevens titles from 2015-17. They suffered troubles off the field even before last season began with the ending of a three-year sponsorship deal with Etihad was not followed up with a renewal. There were also several high-profile player departures and the loss of influential skipper Ben Bolger to forced retirement through concussion. Despite all this, they remained fiercely competitive on the field as they, Jebel Ali Dragons, Bahrain and Dubai Exiles contested and shared the major honours. 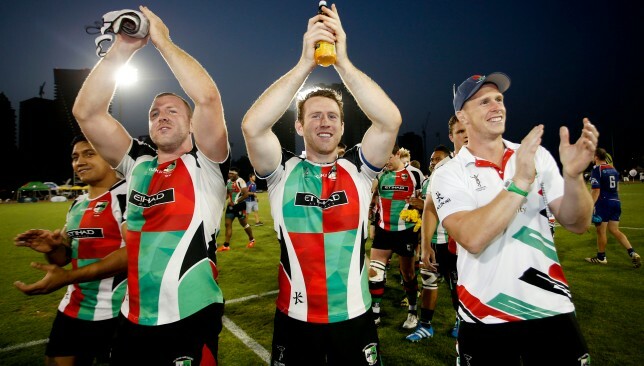 Quins retained the Champions League title and added the inaugural UAE Premiership Cup but the major titles avoided them. They lost the West Asia Premiership crown thanks to last day heroics from Dragons in Bahrain – a 36-32 bonus point win earning them the title. Bahrain beat Dubai Exiles in the West Asia Cup final, Exiles beat Dragons in the Dubai Sevens final and Quins lost the final game of the season and their grip on the UAE Premiership as they were dropped by Exiles. McFarlane believes it could be “mission impossible” for his depleted squad to fight on all fronts once again this term – but he has urged Quins to step up to the plate. “It’s two seasons in a row now we have lost large player numbers, which brings another rebuilding year with little depth yet lots of challenges,” he added. “It seems mission impossible this year with the Dubai teams and Bahrain recruiting so heavily and us being decimated. Last summer brought the devastating news that Bolger – McFarlane’s on-field general and Quins’ talisman – was forced to call it a day after repeated concussions. 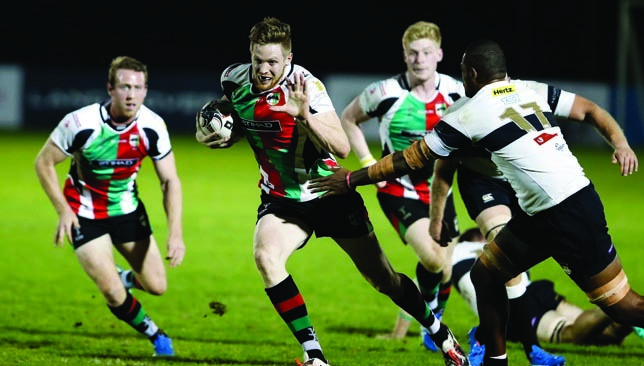 Brian Geraghty was one of three big stars to leave Quins 12 months ago. 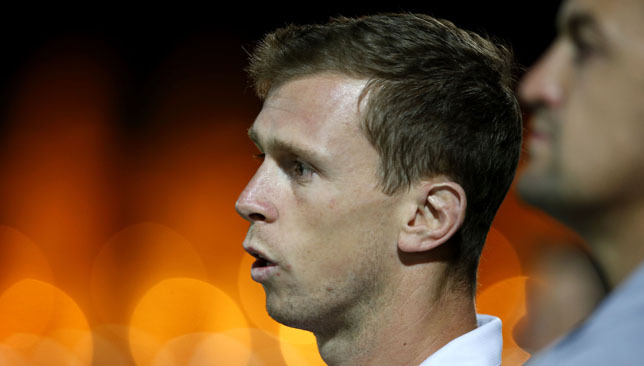 Key figures Patrick Jenkinson, Willie Umu and Brian Geraghty also left the UAE as well as a host of others. This summer, meanwhile, has seen long-time club captain Phil Abraham hang up his boots as well as UAE stalwart Phil Brady. Pieter Kilian, Alfred Ries, Tom Brown, Gerrit Visser, Jona Marshall and Joe Teasdale are also among the departures – leaving Quins fighting an uphill battle. “All of them are first XV starters. And that’s on top of losing 12 first team players last season,” added McFarlane. Kandy arrive in the UAE capital having lost the Champions League opener 31-20 to Bahrain last weekend. Quins will hope to begin brightly as they then head to Bahrain next week for what will likely be a deciding match if they win on Friday. They are chasing a third straight Champions League title. UAE Rugby’s all-Emirati U18 girls team, Al Maha, have just returned home from an intensive seven-day training camp in Sri Lanka as Apollo Perelini prepares his side for the U18 Girls Asia Rugby 7’s Tournament which will be taking place in India later this year. Perelini and his squad have been training in Colombo and Kandy, where they have been fine-tuning and honing their rugby skills and increasing their fitness levels. The purpose of the camp was to prepare the national side for the upcoming tournament, which will be taking place during October. 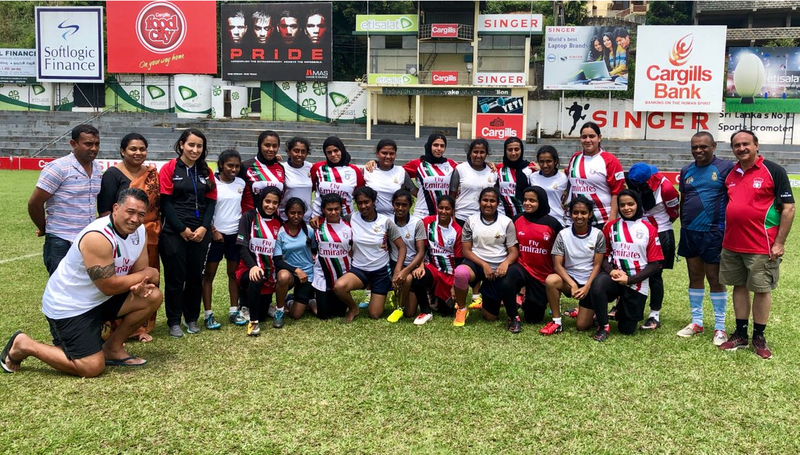 On the final day of the camp, Al Maha were able to put the skills learnt during their trip into practice as they played a number of friendly games with the Sri Lankan U18 girls’ sevens squad. UAE Rugby’s head coach Perelini is delighted with the progress of his team and says the Sri Lanka trip will benefit the team hugely ahead of the tournament in a few months’ time. “The camp was a success, we’re seeing vast improvements in their abilities, and I’m exceptionally pleased with the commitment shown by this group of girls in developing their rugby skills and levels of fitness,” said Perelini, the former dual code rugby star. UAE Rugby Federation Secretary General Qais Al Dhalai added his thanks to the team’s hosts during their stay. “We extend our sincere appreciation to the Sri Lanka Rugby Union, where, through their co-operation and assistance this camp was possible,” said Al Dhalai.